As a plastic surgery coach I work with many clients throughout their plastic surgery journey, which also includes post-operative after care services. 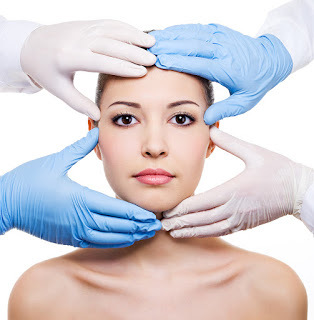 It is very important if you are considering any plastic surgery procedure regardless of how small, that you prepare for the surgery and prepare for after care services. You may think that your friend or family member can take care of your needs after your surgery, however, it has been my experience time and time again that this is not a wise choice. It is important to think about your plastic surgery recovery, even if your plastic surgeon says you will be fine. It is in your best interest to fully prepare for your after care with a Plan A and Plan B. Your recovery depends on this. Think of after care as part of your plastic surgery costs. You are protecting your investment. Budget for between $350.00 – $1200 for your after care, not including any costs for accommodations. The cost will depend on if you are staying at an after care facility, hotel or Airbnb. The cost per day or per hour for after care services, your geographic location and whether you hire an RN. An RN is more costly and not really necessary unless you need IV meds or your surgeon insists you stay in the hospital overnight. Prepare your body and mind for surgery. Take vitamins, increase your protein, hydrate and rest the days leading up to surgery. Purchase everything you need in advance. Don’t wait until the day before surgery. Line up a surgical buddy for emotional support, either a friend who understands or hire a plastic surgery coach. Arrange for time off of work. Always add on a little more time as everyone heals differently. If you are out- of- town, arrange for a hotel stay near the surgeon’s office. Ask the hotel if they provide room service and let them know you will be recovering from a surgical procedure. If you have small kids, arrange for a baby sitter in advance. If you have animals, arrange for a dog walker or even kennel you animals for the first few days. Arrange for after care services with your surgeon’s office or go online to find a reputable service. Friends and family are not the best after care people as they usually have no prior experience in taking care of a recovering plastic surgery patient. You may have drains, leaky body fluids, bruising and swelling. You will be emotional and in some discomfort. You are doing yourself a disservice by not planning for the proper after care. Always have a Plan B for your plastic surgery recovery. Don’t wait until the day of surgery. Remember you need to rest for a successful recovery.